Washi's Creation set is all you need to start your day of grooming. This beautiful set is made from Japanese 440C steel for durability and sharpness. It will perform all your cutting techniques with ease. 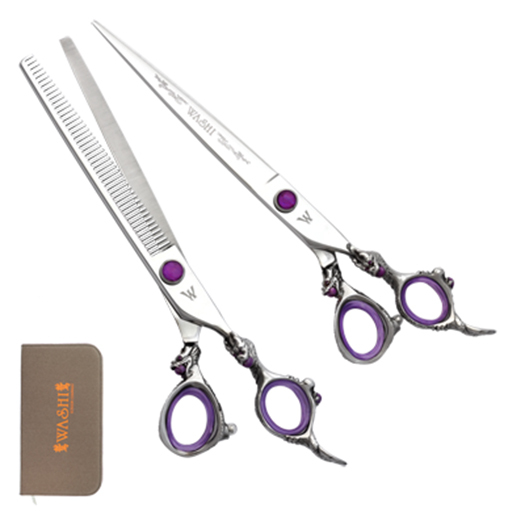 The set features a 8.5 cutting shear with convex edges and a 46 Tooth thinning shear.